The EMD F45 was the final model purchased by the railroad industry for use in any type of passenger service capacity before the onset of Amtrak. 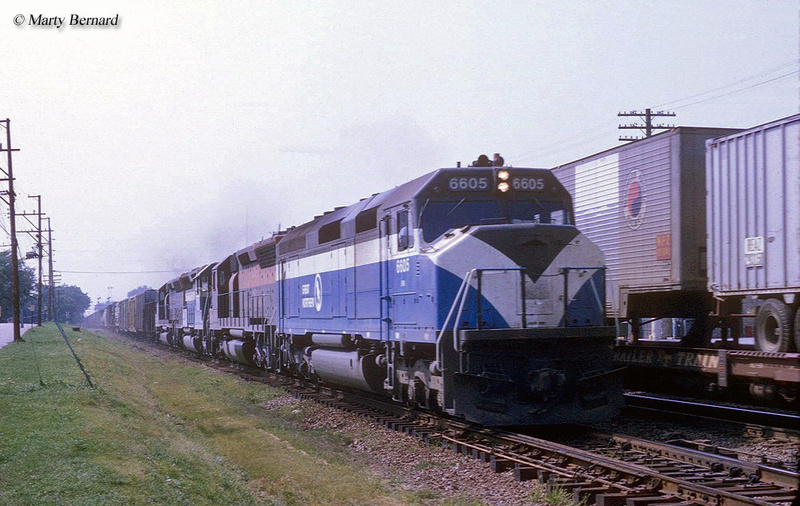 Only two railroads ultimately purchased the F45, the Great Northern and the Atchison, Topeka & Santa Fe, the latter of which approached Electro-Motive to create the model after finding the FP45 successful (a locomotive it had helped EMD create). The F45 was essentially an SD45 in a semi-streamlined carbody (known as the "cowl" design) for use in passenger service. 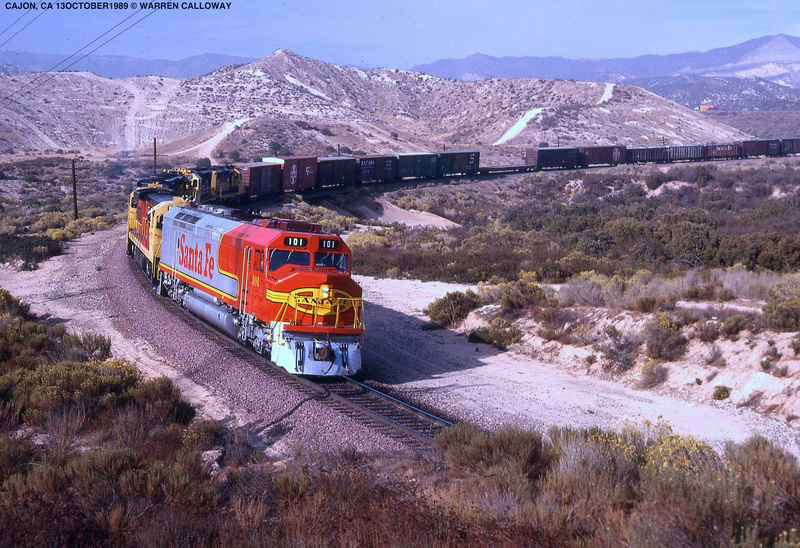 The F45s saw roughly twenty years of service on the GN and successor Burlington Northern in freight service before being retired or sold while Santa Fe's lasted until the mid-1990s in freight service. Today, a few F45s are still around although none are currently in operation. Additionally, the Izaak Walton Inn in Essex, Montana has cosmetically restored a former AT&SF F45 as Great Northern #441 for use as hotel living quarters. The EMD F45 began production in the summer of 1968 upon the request of the AT&SF to have an SD45 shrouded in a semi-streamlined carbody. While initially not intended for use in passenger service some of the railroad's later orders included steam lines for use in a limited such capacity (for instance, the Santa Fe's FP45s featured the red Warbonnet livery whereas the F45s used the "Bluebonnet" scheme). The F45 was one of the few F models to feature a C-C truck setup. Equipped with General Motors' 20-cylinder model 645E3 prime mover the F45 could produce a hefty 3,600 horsepower while its D77 traction motors allowed it to churn out a continuous tractive effort of 82,100 pounds and starting effort up to 90,000 pounds. Upon seeing the Santa Fe's F45 in service and liking the model, the Great Northern decided to order a small fleet of them as well. Its locomotives were ordered with the cowl design for added crew safety, particularly in the mountainous territory between Washington State and western Montana, with the longer nose and cab sitting further back on the carbody. 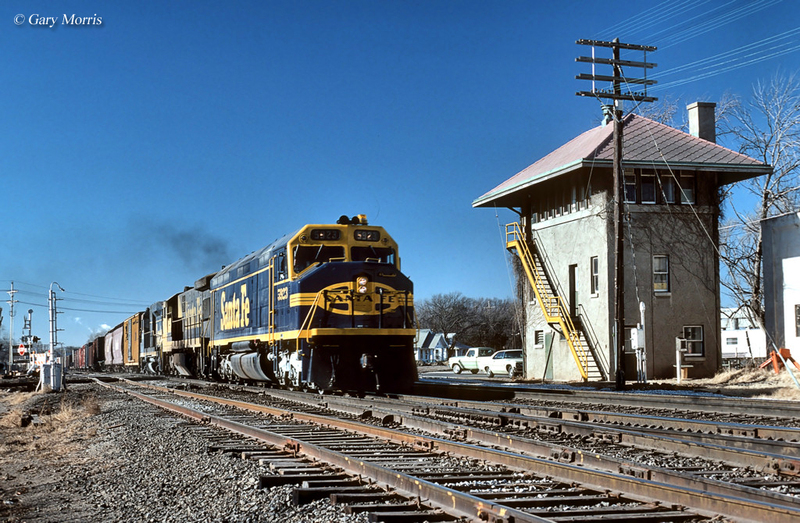 The Santa Fe's F45s came adorned in the railroad's "Bluebonnet" livery while the GN's fleet featured the railroad's new "Big Sky Blue" livery, a very late paint scheme that only lasted a few years before the Burlington Northern merger. The EMD F45 was reliable although it only saw use in service for a few years before the onset of Amtrak in the spring of 1971. 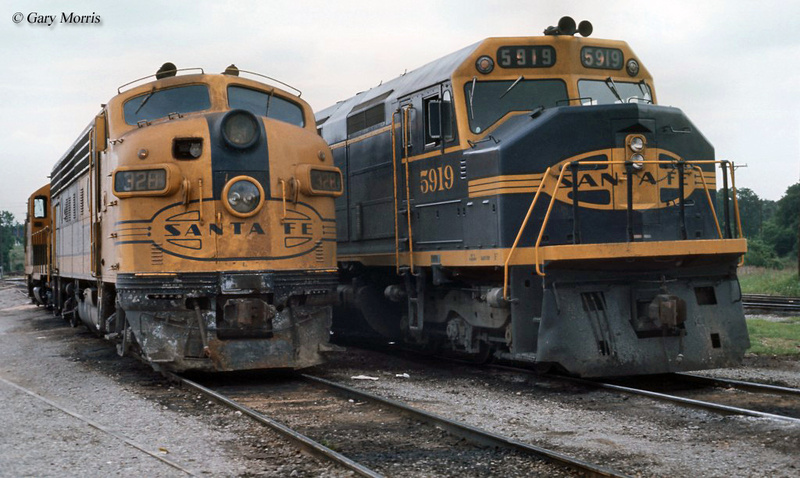 In total, the Santa Fe rostered a fleet of 40 F45s, numbered 5900-5939 (the order was completed by July, 1968, while the GN picked up 14 before the Burlington Northern merger and had ordered another 12 although these came in Cascade Green as the merger occurred before they were delivered. The BN itself went on to purchase another 20 for a total roster of 46 F45s. Under GN, which first began receiving locomotives in May, 1969, its units were numbered 427-440 with BN's roster numbered 6614-6645. The final Burlington Northern-built F45s arrived in April, 1971. Being that the model was basically a freight service SD45 the F45s performed well in that capacity although they saw a relatively short career with BN, which sold or scrapped its fleet by the late 1980s and the Santa Fe doing the same by the mid-1990s (as a streamlined freight locomotive they were not particularly useful given their sight restriction and lack of exterior walkways, which is why EMD moved away from first-generation F models). As late as 2008 and 2009 both regionals New York, Susquehanna & Western and Montana Rail Link continued to use F45s in freight service. However, the since then both railroads have removed theirs from service and subsequently scrapped.